Winter vacation is for binge-watching anime. It’s what you’re probably going to do anyway between family meals and sleeping, so let’s just be honest with ourselves. Binge-watching isn’t for the faint of heart. Tearing through 12 episodes of Madoka Magica does not constitute a binge. Rapid-firing 700 episodes of Naruto in a few weeks is also not a binge—that’s a bender and there may be a helpline for that. What you need is a classic anime with a few solid arcs and enough intrigue to hold your attention for a few weeks. I’ve got you. Two brothers use illegal alchemy in hopes of bringing their mother back, and in the process, sacrifice a large part of themselves. The anime follows their quest to understand alchemy’s moral and physical limits. In the process, they uncover a mind-bending government conspiracy involving monsterish incarnations of the seven deadly sins. 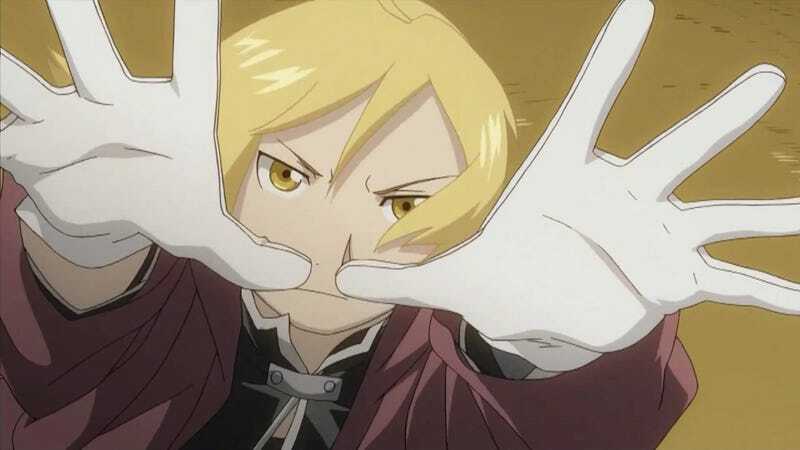 FMA: Brotherhood has everything: politics, gripping fight scenes, drama, fantasy and suspense. After watching, you’ll spend the rest of your day wondering about the next episode. It’s also 64 episodes long, which is a respectable length for a winter binge-watch. And, in the process, you’ll navigate questions like “Is resurrection moral?” and “When does a job become a way of life?” that, if you’re crafty enough, your philosophy professor might give you credit for. “Why not the original?” twelve of you ask in the comments. It’s because the original is repetitive. Brotherhood is closer to the manga and I like it better. I have never seen an anime drama better than Nana. Probably, it does not exist. Nana follows two women named Nana who, after a fortuitous encounter on a train to Tokyo, end up living together. One is a rebellious punk with a soft underbelly. The other is naive and boy-crazy. One wants to be a rock star, the other, a housewife. As time passes, and new people are introduced into their lives, they realize that living a dream is more complicated than dreaming it. Nana’s protagonists are real people, with contradictions and irrational impulses and relatable whimsies. Their relationship develops organically with a special tenderness as they pick up each other’s mannerisms and ways of thinking. And the character arcs will keep you going through 47 episodes. In Samurai Champloo, a woman named Fuu hunts down the mysterious “samurai who smells of sunflowers” with two samurai who hate each other. One is an impulsive jerk and the other is straight-laced and arrogant. They are both perfect. There’s a great scene at a barbecue eel stand. There’s another great scene with a geisha and an underground criminal enterprise. It’s not the plot or the characters that will compel you through this anime as much as the mindset it puts you in. A remarkable hip hop soundtrack booms in the background of each episode. The fight scenes feature break-dancing. There’s a ton of absurdist humor, but also, relaxing moments with beautiful scenery. The show has rhythm. It will take you out of your parents’ house and into its world. Also, it’s directed by the same guy as Cowboy Bebop. So, there’s that.